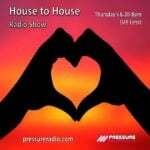 This is the second set from Jay-Js birthday special live on Pressure Radio featuring the man himself alongside Husky from Random Soul. This guy needs no introduction. The Shifted Music and Moulton Studios head honcho has been on the scene since the mid 90’s and in that time has certainly left his mark. Anyone serious about house will remember the superb Defected In The House release from 2003 with Jay-J and friend Miguel Migs. That CD didn’t leave my car for months and was very influential on the music I bought and played at the time. Now living in Sydney Jay-J has injected that West Coast vibe into the scene down under. He even has a new residency at Goldfish in Sydney every Thursday called Jay-J and Friends and I am thrilled to say he has generously allowed us to stream from his weekly night on Pressure radio. We are very lucky to have him here in Sydney and look forward to hearing him on Pressure during the c2eMusic Radio Show – Thursdays 10am GMT. If your in Sydney you now have somewhere for your ears to be every Thursday. 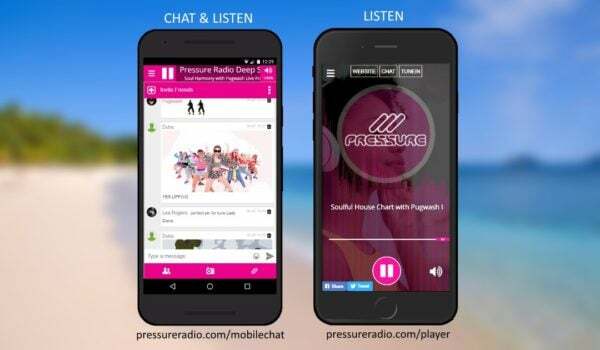 If you are elsewhere in the world you just have to log onto www.pressureradio.com or even better say hi in the chatroom www.pressureradio.com/chat. Who knows you may even get to speak to Jay-J :). Husky is the deeper half of Random Soul. Between them their diverse play list has seen them tour annually across Asia, Europe and the USA, spreading their unique sound to club goers around the globe. Yogi & Husky have any crowd bouncing to their dance-floor tracks or swaying to their more soulful tones. Be it in an intimate show, large club or festival, Random Soul is able to work any floor and unite their fans through their music. Again no tracklisting for this session – so just hit play and enjoy. Visit the official c2eMusic site for more musical goodness. Going forward looking to have a regular stream from Jay-J’s new residency at Goldfish in Sydney on Thursdays from 10am to 2pm right here on Pressure during the c2eMusic Radio Show – keep your ears peeled.